As reported in NoCamels: Like with everything else it does, Apple is expected to rock the architectural world when its new California headquarters opens for business next year – raising the fortunes of the Israeli glass technology firm that is playing a central, if indirect, role in the construction of one of the world’s most innovative buildings ever. 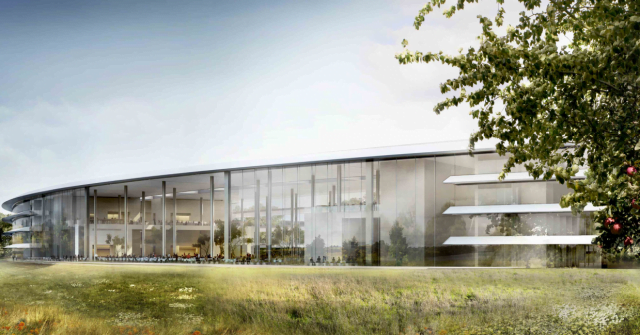 The building in Cupertino, California, officially called Apple Campus 2 – and unofficially called “the Spaceship” because of its circular, Star Trek Enterprise-like vibe – will feature huge panes of curved glass, as high as 60 feet (18 meters), some of it printed. And according to Max Perilstein, one of the world’s foremost experts on glass production, there is only one company in the world that has the technology to produce printed glass panes of that type. “In a sense, Dip-Tech is to the world of glass what Apple is to the world of computers and devices,” Perilstein told The Times of Israel.